← beta adwords interface warning. 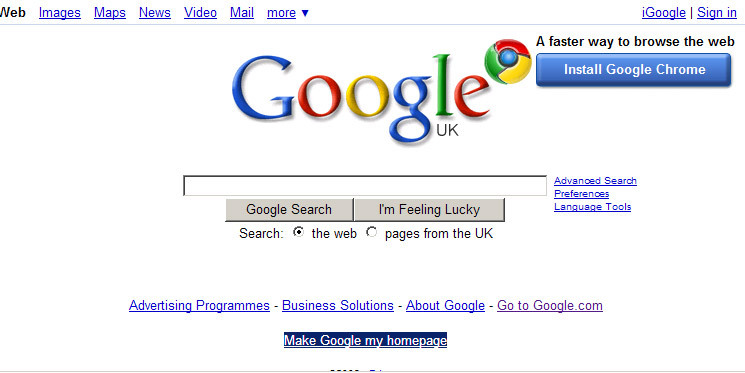 Google pushing chrome on UK IE users!! This entry was posted in google chrome, UK and tagged chrome, UK. Bookmark the permalink. itself and ever-dominant number one, Microsoft Internet Explorer. Ha, nicely put! It’s very meaningful story indeed. I kinda pleased to read that exceptional input very impressive content. Thanks for published! I always support admin or Chrome user issue. I think UK IE users want it very crucially. Thanks for published. Thanks for letting us know the impressive bit.!! Ha, that does sounds very interesting bit. I agree with the Chrome uses though it’s very informative tutorial. I must use it very impressive tools. Thanks! Fantastic input! As a Chrome user it’s amazing article to agree with other users. Although little piece of info though I enjoyed this content. Thanks! 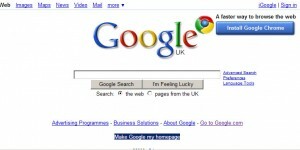 Google pushing chrome on UK IE users!! It is really amazing news due to Chrome is the best one compared to other browsers. I think it is best work for UK IE users. Thanks for providing this current news.